A small group of leaders can make a huge impact on the lives of millions of people. A single decision can cause ripples to expand and widen its effects, just like the wolves of Yellowstone. When wolves were reintroduced to Yellowstone National Park after an absence of nearly 70 years, an incredible “trophic cascade” occurred. What is a trophic cascade and how exactly do wolves change rivers? George Monbiot explains in this riveting mashup. 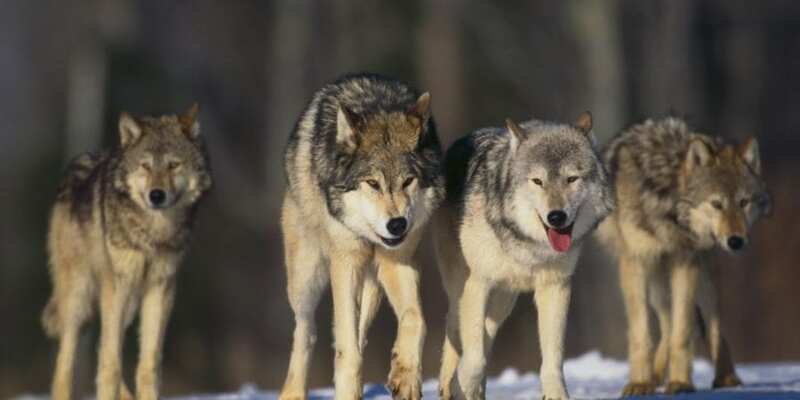 For the Yellowstone environment, the wolves were the Key Leverage Point. Without them, the park declined, species died away, riverbanks eroded, the flora and fauna receded. By returning a small group of wolves, the entire park’s environment changed and lush, verdant new life returned.This is a very good example of how we can be optimistic about our own lives and planet earth as an ecosystem. It is easy to feel pessimistic, doubt what one person or a small group can do, stop trying, and give up. This is a very good example of how we can be optimistic about our own lives and planet earth as an ecosystem. It is easy to feel pessimistic, doubt what one person or a small group can do, stop trying, and give up. The scale of our environmental challenges can seem overwhelming. Big business and governments can choose to place profits over our long-term health. The good news is that by viewing the environment as a whole we can look for Key Leverage Points where a small change can have a huge impact. Most people, when faced with challenges, spend most of their energy fixated on the problem. This limits our ability to see the big picture holistically. Knowing that every problem, no matter how complex or impossible it may seem, has a simple solution that will start a trophic cascade. A small amount of force applied to the right area can make massive changes over time. When we fixate on a problem, we experience fear and doubt that we will be able to solve it. This shuts down the creative centers of our brain, making it difficult to think creatively and to see innovative solutions that may be right in front of us. By shifting our focus to the largest view or perspective and looking for Key leverage Points we will automatically tap into an unlimited source of creative genius. If any area of life needs creative ingenuity it would be our physical environment, our life-support system that most people take for granted. If one country pollutes and destroys wildlife, we all suffer since we share the same biosphere. No one country can ignore or solve this problem, we must all work together. I am optimistic because human nature is predictable in that we will all focus on the problem and solution when we have no choice! Cooperation will emerge from an emergency. Let’s just hope that it doesn’t get to bad before people act! You don’t have to wait. Take action now to lead others. Live by example that others are honored to follow. This will create a trophic cascade that impacts everyone. We are shaped by our environment, which in turn we shape, which then again shapes us. This is a circular relationship. The environment includes the natural environment, our homes, workplaces, cities, relationships, etc. Let’s step up to the leadership challenge!